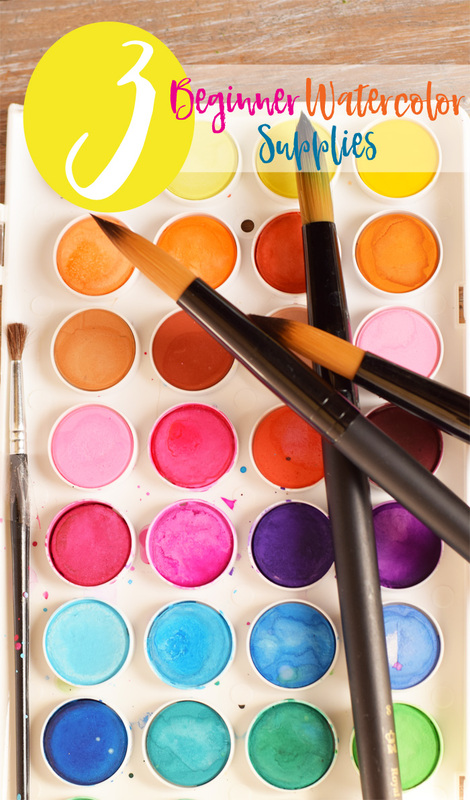 Last year, I attended a fabulous conference geared towards DIY lovers. Near the end of the weekend, I walked into my last break out session exhausted. I wasn’t sure how much I would glean from a session on watercolors in my tired state, but I settled in my seat and listened to the speaker make watercolor painting seem like a breeze. The class wound up being my favorite of the entire weekend. The painting was relaxing and opened up a creative portion of my brain that I didn’t think existed! I enjoyed the “me moment” and looked forward to continuing it at home. I made this little wreath to adorn a shelf in my bedroom. Not too bad for my first piece, do you think? I came home with intentions of tackling watercolor painting- or any painting for that matter- and becoming a pro. Since that conference, I have picked up the brush in the number of times that I can count on one hand. I’m disappointed in myself that I haven’t made time for learning. But with any new hobby or passion comes not only needed time, but also needed supplies. Costs for this can add up quickly and can be a deterrent for anyone starting something new. During the conference, the instructor mentioned 3 basic watercolor supplies for beginners that I would need to invest in for watercolor work. Of course, these are only the basics. Serious watercolor work would require more brushes and paper options. 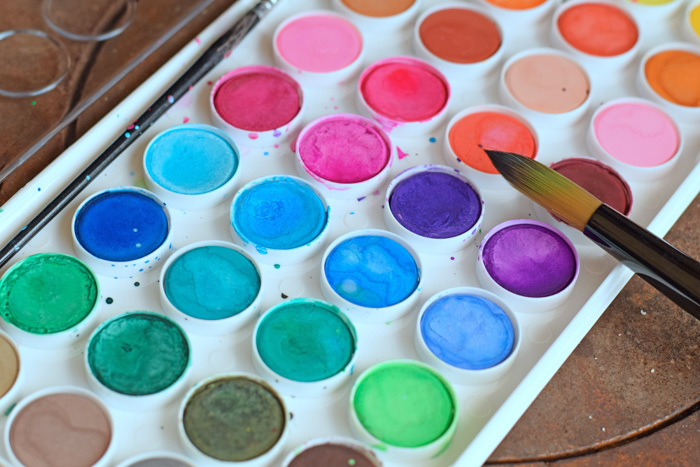 Watercolor Pan Set– The colors on this set is brilliant, and it is not expensive. 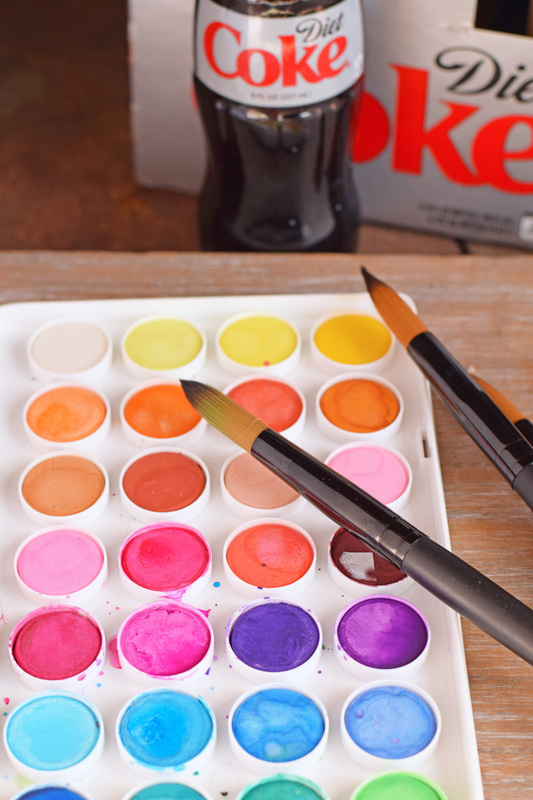 Diet Coke® wants to help fulfill someone’s dream of a new passion with their text-to-win sweepstakes partnership with Publix. 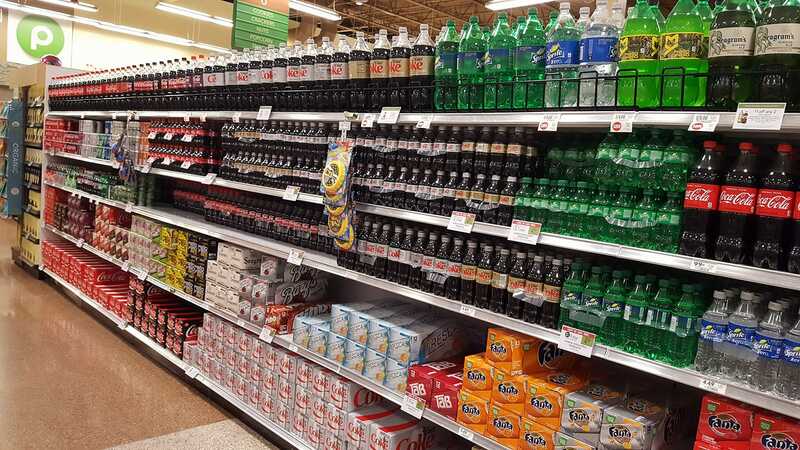 Head to Publix for the text to win code to enter the Diet Coke Taste of Life Sweepstakes. 20 winners will receive a $2,000 scholarship to fulfill their dreams and passions.The sweepstakes ends 11/3. 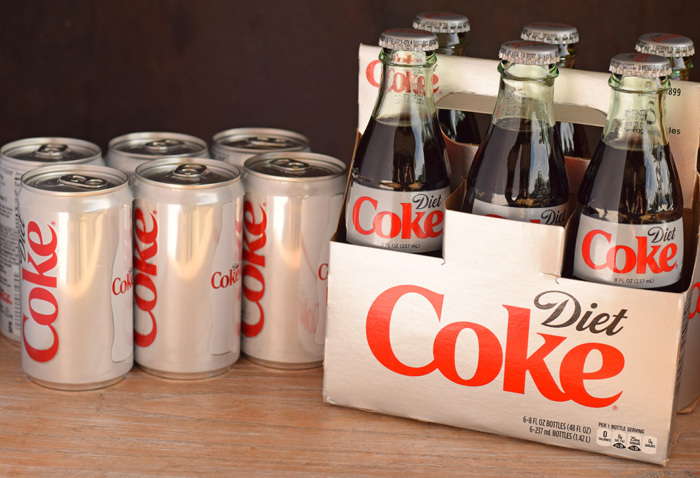 Be on the lookout for a coupon to save $1 on any 1 DIET COKE 12-pk., 12-oz., or any 2 DIET COKE 2-L (between 10/14 – 10/27). Locate your local Publix via their store locator. What would you learn or do if you won? What Taste of Life would you experience? I would purchase the needed supplies and take a class to learn painting. Fingers crossed, right? Good luck if you enter! I’d love to learn French, go to France and take lots of pics, lol. I love the water colour wreath. Coca Cola company rocks for having this kind of Sweepstakes. I would love to go on a Skydiving or Scuba Diving lesson. I’m impress on your DIY project, I love being creative too esp. on my not quite so busy days. I know how you feel! I have wanted to take on a few new challenges and hobbies but life does sidetrack me. Also expenses of getting into anything new can be a bit too much. I do think you did an amazing job on the watercolor you created in the class and I hope you get to pick it back up sometime when life slows down a bit. You did a great job on your first piece! I would love to learn watercolor too – I dabble a bit but I know I could learn a few tricks if I took a class. I wish I had artistic talent! I can paint by numbers, does that count? LOL. 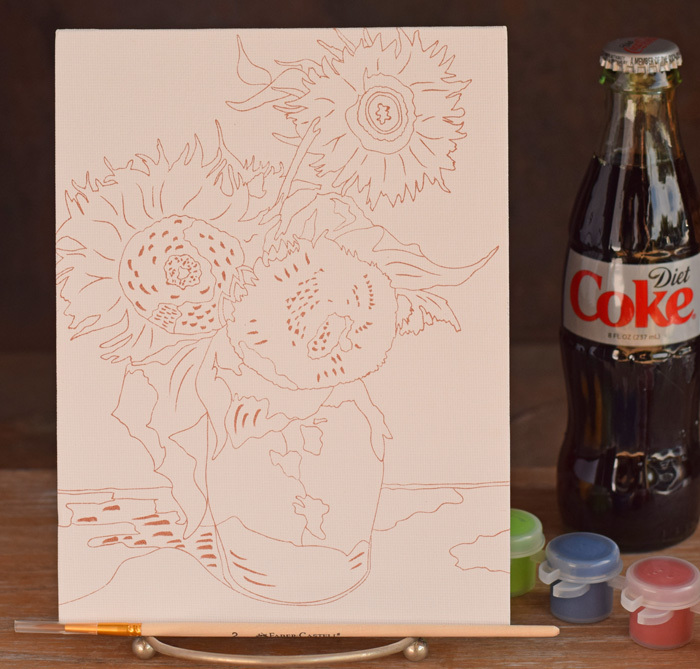 My son definitely has more art skills than I do, so these supplies would be great for him. For me, I’d love to learn some new photography skills. It’s something I’ve always been interested in and actually have the patience for. I’d also love to learn how to bake! Your first piece is actually quite beautifully done! I hope you win! I think my taste of life experience would be to go rock climbing. I’m deathly afraid of heights but I feel like it would be one of the best ways for me to tackle this fear! Yikes! Scares me just thinking about it! lol! I’m not artisitic at all but I do think that watercolor would be awesome to try. It’s one of those things – i will do one of these days. This is something that simpler is better to me. I love to paint… Not that great at it but I do LOVE it. It is therapy to me! Getting together to paint with a bunch of my friends would be an ideal night for me. I don’t drink alcohol but I do like coke! I love your wreath. Great job! I like to do rubber stamping and basicly color with pencils. Would love to learn to use water color correctly. I would love to take water color classes if I won. Thank you for the opportunity. Hmm…there should be a special display with the code. Perhaps it hasn’t been set in your store yet? If I won I would like to take art and guitar lessons. I’d love to take watercolor classes and ukulele lesdons. I am an artist. I would like to paint with some well known artist so I would use it to travel to conferences. 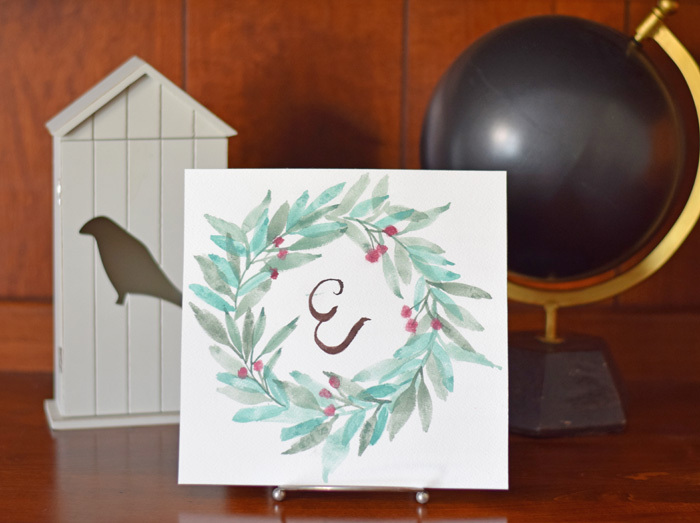 Plus I have only dabbled in watercolors and would like to know mlre. I see no tips, and no way of entering a Contest for $2000, #sofablife? The text to win code is at your local Publix. I’m a retired hospice nurse ,with very little painting experience.i know seniors in my community wouldn’t/ couldn’t try the paint and sip classes around town.so I came up with our own.we are ready to start our fourth painting,and it’s such a fun evening( 18-24 attend). I just found out today residents anniversary is night of our next class and she still wants to spend it painting, so we will make this extra special evening for her.serve wi e cheese and desert.